Pricky says "4 Bites and Read it!" It's fast-paced. Entertaining. Short and simple. Josh and Emma are 2 neighborhood friends in 1996 who discover their future life on Facebook. For anyone having lived in the 90s, this story is a bit nostalgic: lyrics to popular songs, references to AOL, and the fact that people had to "look up" stuff at the library. Asher and Mackler do a pretty good job...but I do wish they could have made some clothing or movie references (plaid shirts, birkenstocks, what else am I missing?) Also, one of the wealthy characters has a cell phone which (even though she was filthy rich), I still found to be a bit unbelievable; for me personally, I don't think I even knew anyone with a cell phone until almost the turn of the century...but then again, I wasn't really in the same circle as the more "privileged" kids. The chapters switch between Josh and Emma's point of view and the chapters are short and concise, making me move quickly through each chapter. It was a definite page turner. I thought some of the jabs at FB posts were pretty funny: the things we post to the "world" and our constant obsession with social networking. I'm guilty to both. ;) But it wasn't just a story about Facebook, there were a lot of subtle underlying themes of fear and love and the awkwardness of youth that were woven very nicely into the story. The Future of Us was sweet and such a fun fast read. 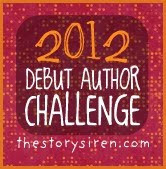 I think this would make such a cute movie starring Kristen Bell. She would be perfect! 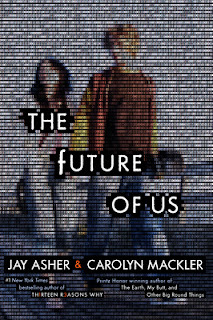 Purchase The Future of Us on Amazon.com here. Such a fun read! You're right- I raised my eyebrows at the cell phone too, but like you mentioned, the character was supposed to be super rich, so I could let it go. I loved the 90s nostalgia. Overall, I loved this book. Glad you enjoyed it too! Kristen Bell WOULD be adorable in this. I had some friends in HS who had cell phones...but it was more '01-'02. But in '96...that's really pushing it. Unless of course they lived in another will-not-be-named country.